MyTAG Trusted Proof of ID (Patent pending) is a secure I.D. card system which cannot be copied or cloned. Incorporating Trusted NFC from HID Global, together with photo I.D., the cards allow absolute verification of an individual’s identity. 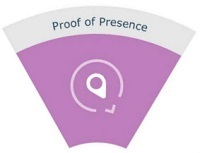 Time and attendance and Geo location are captured providing proof of an individual’s presence in a specific location at a point in time. Operating on all NFC enabled devices, MyTAG can deliver mobile Trusted Proof of ID into areas which fixed point controls cannot reach. Access management is made easy and more secure by using HID Global’s Trusted® tags and MyTAG’s proof of ID system. MyTAG Trusted Proof of I.D. cannot be copied or cloned. With each tap of the MyTAG card on any tablet, mobile phone or other NFC-enabled device, the HID Global NFC Trusted generates a cryptographic code which the device receives via a URL. The MyTAG system determines that the URL has been provided when someone has physically tapped the tag. This is 100% verifiable authentication of identity, time and global positioning. For secure sites this system is a secure access management solution that an be set up easily with confidence. Being Cloud based, MyTAG Trusted Proof of ID is simple to install and easy to use. There is no requirement to integrate into existing IT systems which allows you to be up and running quickly. It is also intuitive to use, so employees require little training, and the low cost of installation and operation mean that you can start to reap the benefits immediately. MyTAG Trusted Proof of ID replaces time consuming manual and paper-based I.D. authentication systems with a quick and easy to use Cloud based solution. The authentication and timestamped GPS location of individuals can be quickly, and easily verified, and real-time and historical information accessed in an instant. A secure ID verification service for any size business.